My mother became deathly ill, and if I thought I had been overwhelmed before, I was well beyond that now. Traveling to visit her in the hospital, at the last minute I grabbed The Wilderness Journal and threw it in my bag. I’m very glad I did. When I finally opened it that night, tired, sad, and frightened, I realized that I hadn’t been afraid of the time this book would take me but rather was afraid of my lack of knowledge. The Philokalia intimidated me—who was I to understand the Church fathers? I wasn’t prepared to read and embrace their deep wisdom; that sort of understanding was clearly beyond me. But, from the reading on Day 1, the author of The Wilderness Journal helped me to understand that not only could I read and appreciate The Philokalia but I needed to do so. 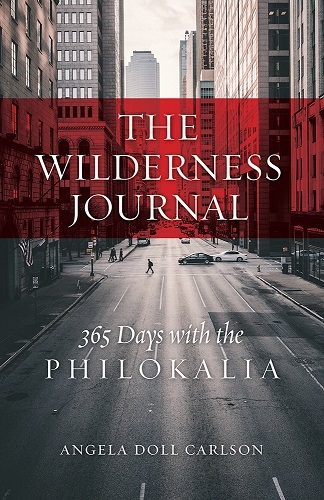 The Wilderness Journal: 365 Days with the Philokalia is set forth in a series of daily quotes and readings, arranged by each Church father, and is followed by a short (but by no means shallow) commentary. From the first day, the author absolutely pegged why this book is so needed in the everyday lives of modern Orthodox: “His holy texts draw us away from the noise and distractions of worldly tensions, back to the silent inner struggle for the mortification of our earthly passions and the salvation of our souls.” That. This is a wonderful book and one that I can see myself going through many times. I fully expect that it will impact me and help me grow in my faith each time through. Orthodox Worship: "Now I Understand Why"